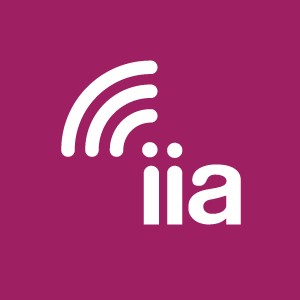 IIA applauds the FCC for today’s actions to remove outdated regulations to help accelerate 21st century high-speed wireline and wireless broadband deployment for all Americans. High-speed internet is key to accessing quality education, health care, and jobs, promoting civic engagement, and spurring economic development in the 21st century. Eliminating regulatory hurdles that inhibit broadband infrastructure deployment will help our nation close the digital divide by bringing these benefits to every American more quickly. IIA supports the Commission’s network change notification modifications, streamlining of Section 214(a) service discontinuance rules, and pole attachment reform. We also agree with the agency’s action to streamline the historic preservation review rules that help speed up the replacement of utility poles that support wireless communications equipment necessary to deliver next-generation mobile broadband. These actions will spur greater investment in our nation’s fiber-optic networks, bringing them closer to consumers, and hopefully making the widespread availability of high-speed, fifth-generation (5G) wireless broadband services a reality by the end of the decade. IIA Co-Chairwoman Kim Keenan discusses the need for bipartisan Open Internet legislation.